Hi, I'm Lydia. 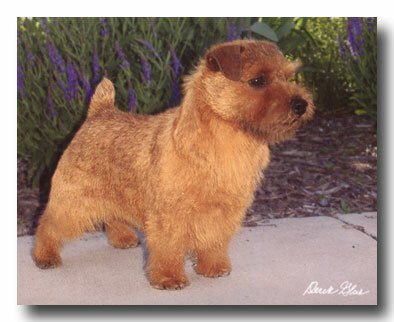 My folks specialize in Welsh Terriers but I've fallen love with the Norfolk Terrier. Call me a rebel, but when I saw my dad grooming and my mom showing one of these critters, I was hooked. And cute? You wouldn't believe! My folks have allowed me to breed a limited number of puppies from AKC Champion Stock. (Both mom and dad Norfolk have those fancy/smanchy Champion papers and ribbons that all the adults are so agog about!!) Now I have the opportunity to be what dad calls a "sole-proprieter entrepreneur" and sell these little guys. Naturally, I only want them to go the best of homes. Perhaps one of my little guys would be a good addition to your family. If so, please give us a call. 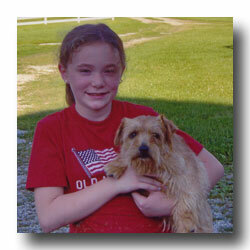 Why should you consider a Norfolk Terrier? 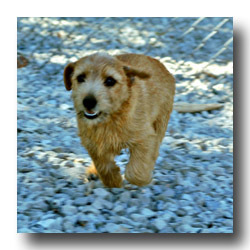 Their temperament is defined in the offical standard of the Norfolk Terrier Club as alert, gregarious, fearless, and loyal. They are a family dog, whether you live in an apartment or on a gentleman's farm. They are the perfect child's companion when properly socialized. They can alert you when necessary but are not known to be "yappers." 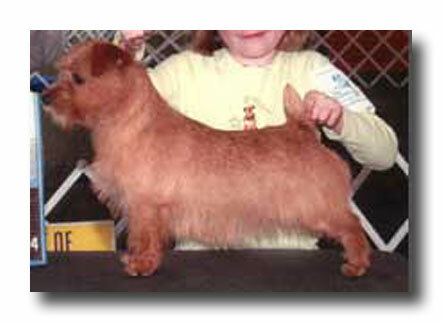 One of the smallest working terriers, with good substance and bone, they top out at 12 pounds. 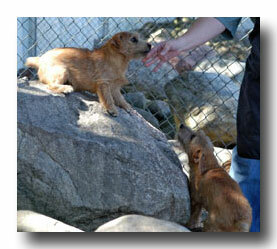 Their coat is hard and wiry so they tend to collect no dirt and require minimal grooming. We would love to assist you in making your next puppy purchase decision! Please feel free to call us at 517.688.3059.